Steeped in a reverence for the NYC subway system as the new Silk Road, SAM'S TEA SHACK is an Ashkenazi Jewish boy's fantasy he is among his ancestors: central Asian nomads. In this malleable exchange between audience and Sam, he serves tea and snacks, talks about the neighborhood, Persian emperors, fatherhood, drugs, high school plays with Lin-Manuel Miranda, and whatever is on your mind. If you let him, he's determined to cut through the haze and light up the path between the dumpling and the knish once and for all. It's a piece about cultural identity vs. national identity. It's a comedy. Sam cares about you. Feel free to interrupt. REAL TALK / KIP TALK is a series of live talk shows about the state of contemporary performance, hosted by Kippy Winston, media mogul, internet sensation, and citizen of the world. Formatted like a talk show but with room for debate, REAL TALK / KIP TALK blurs the lines between art and life and challenges participants of all stripes and creeds to engage in real talk about our starry performance landscape. Featuring special guests from creative performance backgrounds, the conversations will focus on the intersection of playwriting and screenwriting, and the relationship between local and national theater. 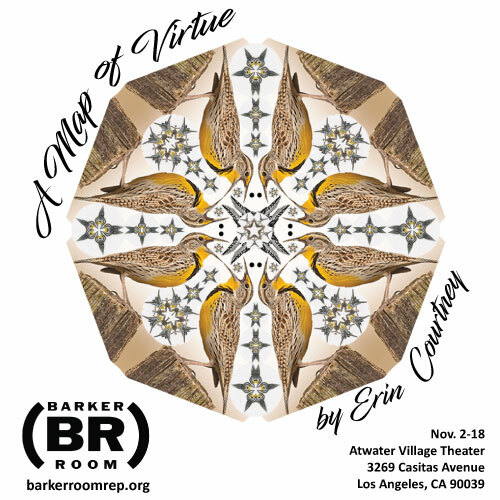 The West Coast premiere of an award-winning play that explores coincidence, circumstance and the relationship between people and objects. A MAP of VIRTUE examines how the most significant events in our lives can alter the landscape of our reality.